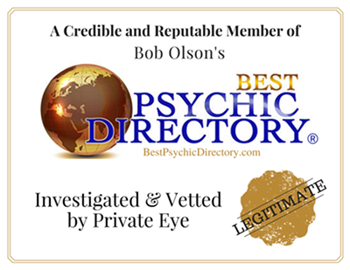 Working as a Psychic Medium/Healer is the greatest reward for myself knowing how many people nationwide I have work with and have helped. My gifts, are not for myself; they are for all who ask for my assistance. My gifts of Mediumship, Clairsensience, Clairvoyance, Clairaudience, Empathy, Pet Communication, Angelic Communication, World Predictions, Reiki healing and teaching the Metaphysical Arts. Please know your wanting assistance does not have to be in person but sure can be. Any reading, healing, teaching can be done by phone, Skype, or in person. The outcome will be the same, there is no difference.